On July 31, 2011, Kenny Burrell turned 80 years young. 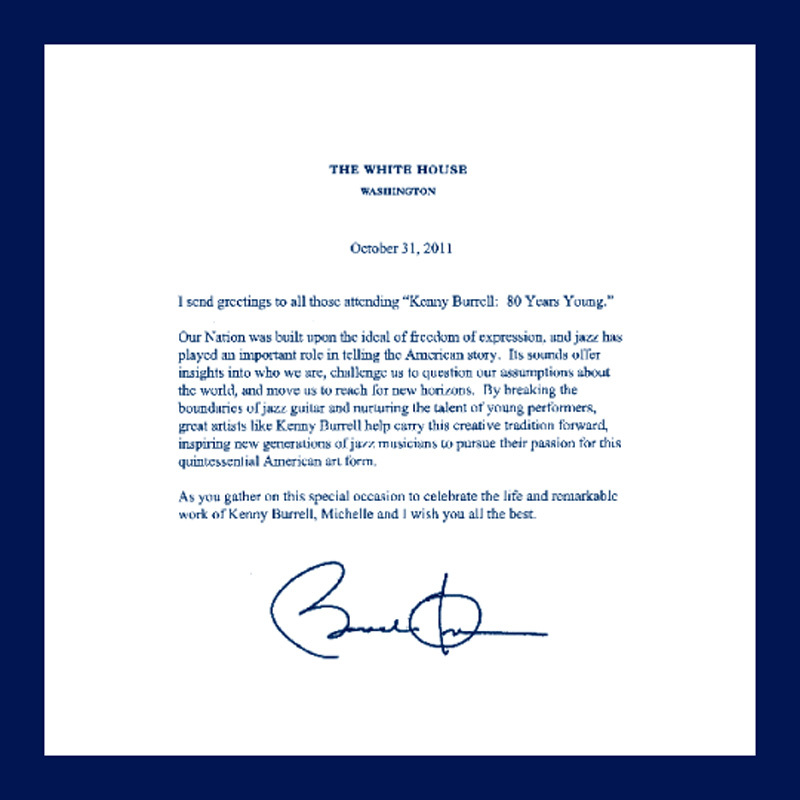 To celebrate this milestone in the life of the jazz icon, UCLA hosted a star-studded gala at Royce Hall later that year on November 12, complete with greetings from President Barack Obama. 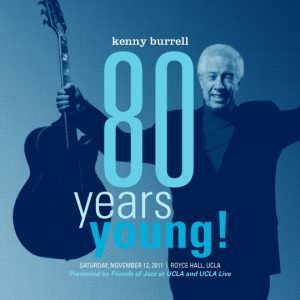 Public television station KCET aired a 90-minute special about Burrell on March 8, 2012 entitled, “Kenny Burrell: Jazz Master and Mentor.” The UCLA-produced special highlighted Burrell’s outstanding career as a professional musician as well as his teaching and ongoing dedication to promoting jazz as a legitimate musical art form. 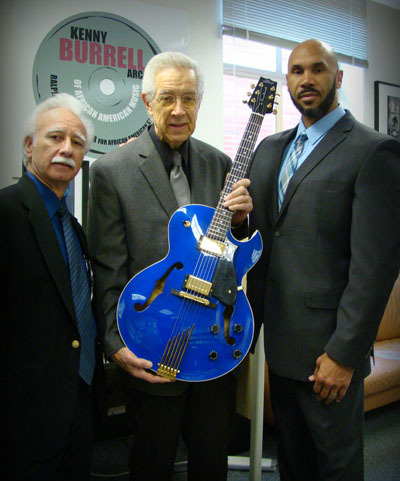 On April 4, 2012, Gregg De Lorto of De Lorto Guitar and the Heritage Guitar Company of Kalamazoo, makers of Kenny’s guitars, donated the “Heritage H-575, Kenny Burrell Signature 80th Birthday Commemorative Guitar” to the Bunche Center’s Kenny Burrell Archive of African American Music. 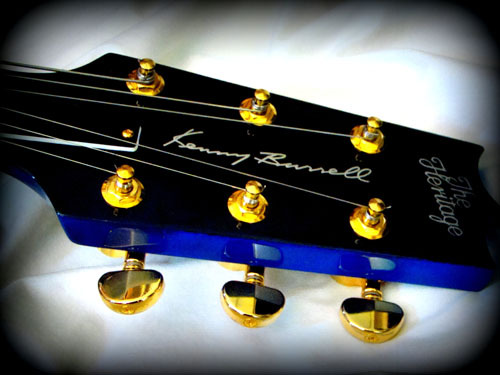 The stunning, midnight blue instrument features Kenny’s signature hand cutout, Duncan S. Lover pickups, and a Tune-O-Matic bridge.